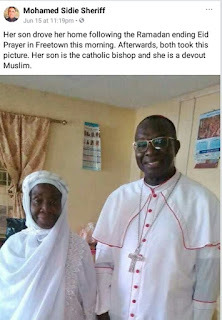 A Facebook user identified as Mohamed Sidie Sheriff, has gone to the social media platform to share an amazing photo of a Catholic priest and his mother, a faithful faithful Muslim. The photo was reportedly taken during the Ramadan celebration in Freetown, Sierra Leone. 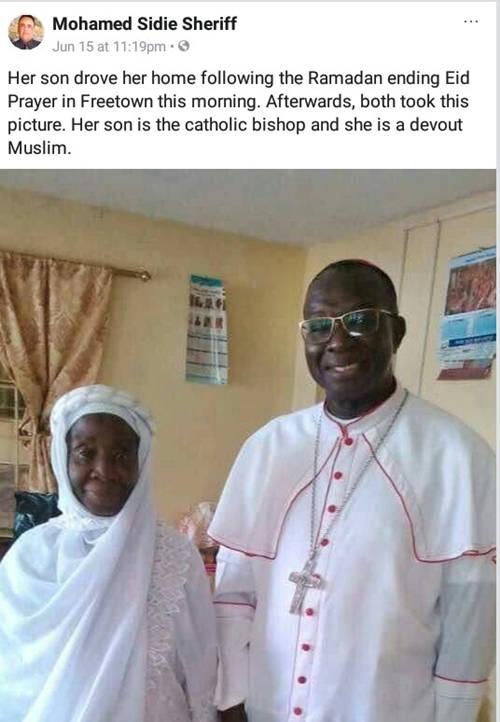 Mohamed, who shared the picture, wrote: "Her son took her home after Ramadan that ended with Eid Prayer in Freetown this morning, after they both took this picture, their son is the Catholic bishop and she is a devout Muslim." . 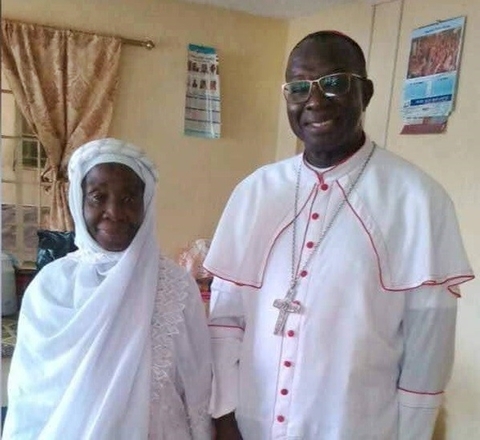 The identity of the priest, his mother or where they come from, was not verified by emmy News as at the time of the presentation of this report.